Once installed, Open the wallet and follow the information guidelines to learn more. For Merchant safety opt them to take A mnemonic backup of their wallet, This is a set of words that will allow them to recover their PIVX funds on another mobile device running the PIVX mobile wallet, To do this simply go to the Settings section again and select Backup Wallet You can then put a password in to create a backup file or even better proceed to select the 3 dot menu bar on the top right and click Mnemonic Code, Proceed to write down these words and keep them private as they hold all of your PIVX addresses and funds. 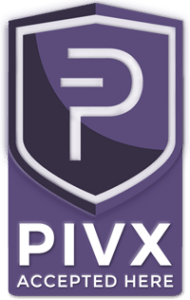 You are now completely set up to accept PIVX, When a client wants to pay you via PIVX you can simply click the QR code icon on the top right of your PIVX mobile wallet and allow them to scan your QR code and pay you. Your funds will show instantly once your customer pays you, As long as your wallet is completely synchronized If you aren’t in sync yet don’t worry your funds will show up the second you are!